Do you wonder why your heating and air conditioning bills are high? 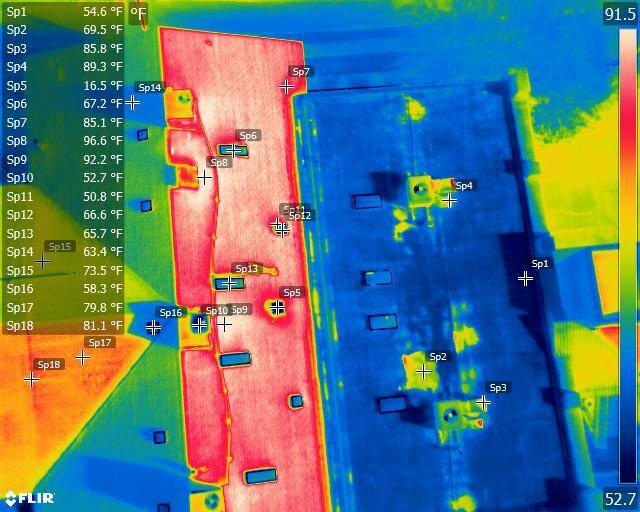 Our energy audits use infrared thermal imaging from a drone to provide facility owners with accurate, actionable information to correct energy loss, imbalances, and inefficiencies. Do you worry about the condition of your roof after storms? We can provide additional roof condition data at the same time. Why conduct energy audits and roof condition inspections? Detect costly leaks: Find thermal anomalies that affect energy consumption. Identify hot and cold spots: Identify and gain actionable data to correct thermal imbalances to improve efficiency and comfort. Reduce overheating risks: Find areas prone to overheating before they cause equipment failures. Pinpoint accuracy: Each pixel contains x, y, z coordinates and temperature to produce an accurate energy efficiency audit. Focus maintenance: Accurate, timely data helps to prioritize repairs and maintenance. 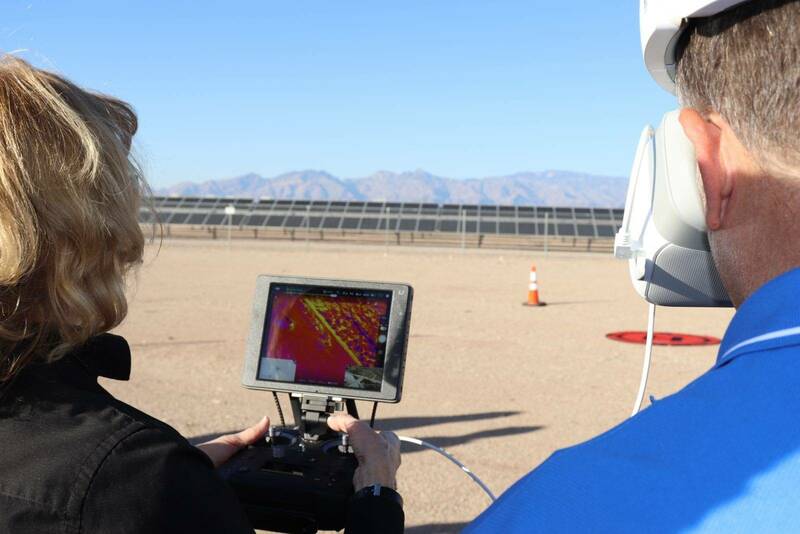 Rely on our experts: Our team of ITC-certified thermographers, licensed UAV pilots and registered surveyors has the experience to deliver reliable results. We can deliver data in any format you require including true color and thermal images, point clouds, 3D models, and flythroughs. Specialized software displays thermal differences at every pixel in the FLIR image to map the exact location of hot and cold spots for accurate energy audits. 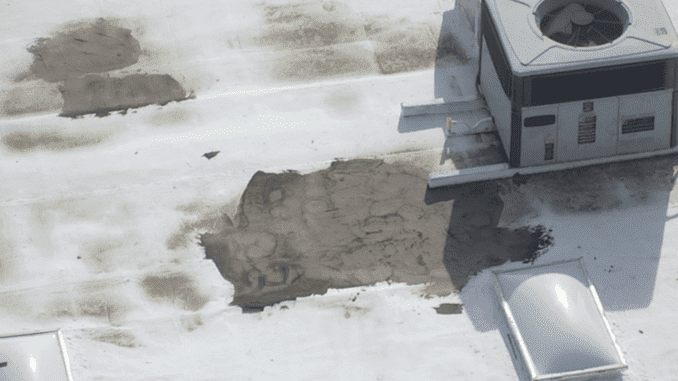 Aerial image of area adjacent to roof-mounted HVAC equipment where monitoring will be used to detect changes in condition and avoid leaks. From FAA licensed pilots and certified thermographers to high tech professional drones, FLIR cameras, and first person view goggles - we have the personnel and equipment to safely fly your projects and obtain the high quality, actionable data you need. Learn more about our Drone Services.